Asthma diagnoses are on the rise. According to the World Health Organization (WHO), there are more than 235 million asthma sufferers around the world. What makes matters worse is that the condition commonly affects children. Asthma is considered the most prevalent chronic disease among children. Asthma may appear as continual attacks of breathlessness and wheezing. These symptoms and attacks can vary in intensity by individual. Asthma occurs when the airways of the lungs become inflamed. During a flare-up or attack, the airway become even more swollen. Muscles surrounding the airways may tighten. This will result in classic asthma – coughing, wheezing, a tight chest, and shortness of breath. Take asthma medication to treat the condition initially. If asthma symptoms don’t stop or worsen, get help. Know and understand your asthma symptoms. Create a plan to get off asthma medication and control the condition without drugs. Drugs have short-term and long-term side effects that will compromise health. Determining a cause for asthma can be difficult if you rely on the medical community for research. The pharmaceutical industry would love for people to believe that asthma is triggered by pollution, dust mites, genetics, and environmental factors. These “causes” leave you helpless and out of control of your condition. The alternative explanation is that an inflammatory diet and panic attacks exacerbate allergic triggers. A deficiency in beneficial gut bacteria, along with chronic anxiety, may be to blame. While it is true that many people have a genetic predisposition to a condition like asthma, this doesn’t mean that you have to surrender to your fate. Asthma can be easily aggravated by intense exercise, allergic reactions, infection, anxiety and emotional distress, cold air, occupational dust, air pollution, household products, and medication. There is one thread that links all these triggers together. It is inflammation. This underlying cause is confirmed by the fact that the most commonly prescribed asthma drug is an anti-inflammatory steroid. WHAT DO HEALTHY LUNGS LOOK LIKE? If you or someone you love has been suffering from asthma for years, you may not know what healthy lungs look and feel like. Really healthy lungs, free from asthma and chronic disease, allow you to breathe easy. Good lung function will supply oxygen to the body so that you can remain active without feeling fatigued. Really healthy lungs are synonymous with good quality of life. The average breath volume is 500ml, or 1 pint. The typical resting respiratory rate for an adult is roughly 10 to 20 breaths per minute. One third of the breathing time is spent on inhalation. Chronic anxiety can further compromise breathing. The end goal to improve lung function and rehabilitate lung health is six breaths per minute in a relaxed state. When a lung condition like asthma is left untreated, it can be frightening and difficult to control. In many cases, it may lead to a gradual decline in health. In some cases, it can be life-threatening. 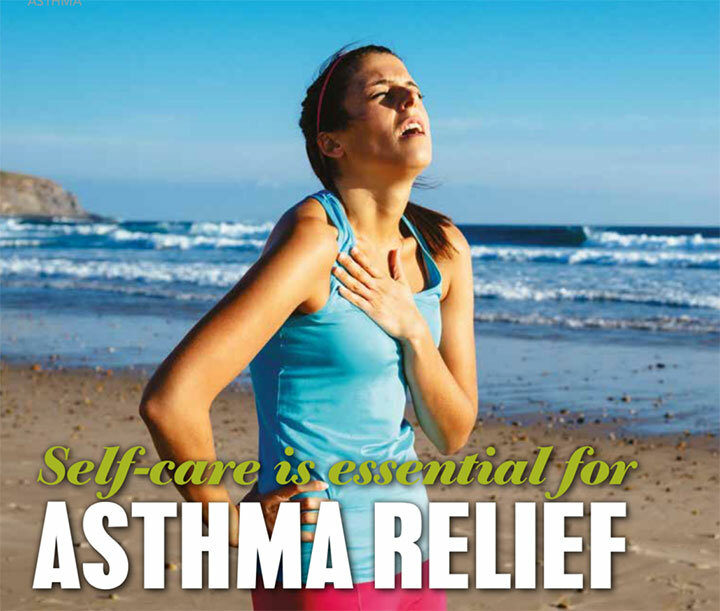 Even a condition like asthma can be rehabilitated through a recovery program. This asthma recovery programme is fully detailed in the free guide COPD Rehabilitation in 30 Days, available by clicking here. Really healthy lung function is possible to achieve with commitment to a rehabilitation plan. Proper nutrition, an anti-inflammatory diet, breathing exercises, and exercise intervals can be used to significantly improve lung capacity. Optimal lung health becomes even more important with age since the lungs start to shrink as we grow older. A number of lung conditions, including asthma, are largely considered lifestyle problems. It may be an overstatement to call Pulmonary Rehabilitation a “cure” for asthma as that is a medical term. Medicine does not have the power to provide any cures, or else healthcare professionals would be out of business. Asthma recovery starts by taking away the cause of the disorder. With the help of the science of Pulmonary Rehabilitation, your body can work as it was designed to. Your body can restore and repair itself with help from lifestyle changes and nutritional therapy. Asthma responds well to Pulmonary Rehabilitation, with more than 30 years of research and scientific backing. Pulmonary Rehabilitation is designed for use by chronically ill patients with respiratory problems who have seen little to no results through medical treatment. Pulmonary Rehabilitation, first developed by Charles Denison in 1895, supports lung recovery, along with essential nutrients used to clear inflammation and scarring so that you can breathe easy again. Specifically, Serrapeptase, Curcumin, and the seaweed extract Ecklonia Cava work in harmony to calm chronic inflammation, heal damage, and clear scarred lung tissue. Asthma does not have to be a life sentence. Pulmonary Rehabilitation can help. You can take your health back into your own hands. Learn more about the complete Asthma Rehabilitation Plan in the free e-book COPD Rehabilitation in 30 Days. Nascent Iodine is recognised by the body as the same iodine that is recognised by the thyroid and is absorbed effortlessly by the body. One drop = 400mcg of iodine. Usage depends upon the desired effect. Frequent small doses are more effective than larger amounts at less frequent intervals. 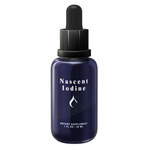 Nascent Iodine is the best form of iodine supplementation.